This past weekend was the Sephora VIB Holiday Shopping Event, and I have to admit I went a little crazy… But putting my purchases all together, most of them are items I needed/have been lacking, so I think I did okay, not a lot of splurging in my opinion, haha. I ordered them online and just received my package in the mail yesterday, so I’m a little behind on sharing my purchases, but here they are! 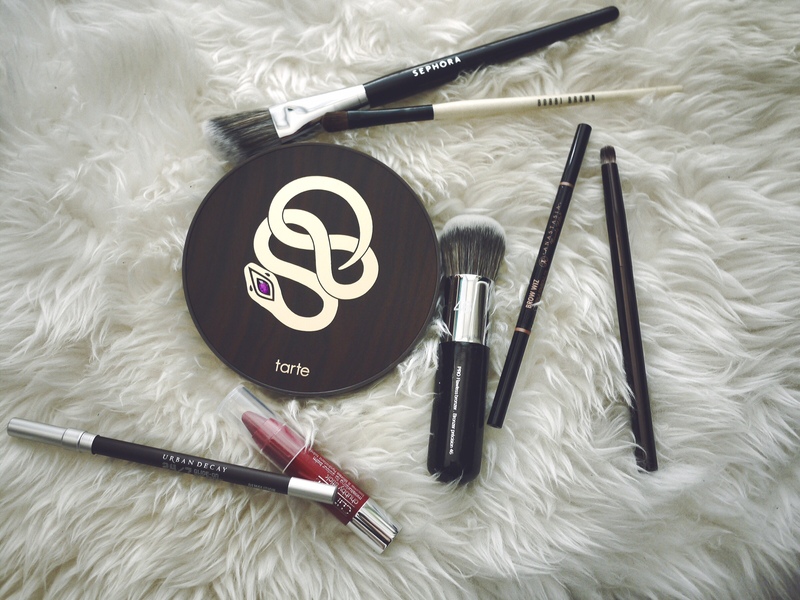 First up are the 2 face brushes – the Sephora Pro Angled Blush Brush #49 and the Sephora Pro Flawless Bronzer Brush #46. I got the Pro Airbrush #55 a while back and really love the quality of it, it’s very soft and picks up the right amount of product for me, so I decided to go ahead and grab 2 more that I need. The blush brush is long and thin, light weight and easy to handle so you can avoid a heavy hand of blush on your cheeks. The size of the bronzer brush is perfect for me, as it’s more chubby and shorter which makes it easier to grip and apply pressure when need be. Next up are the eye brushes! Since I started learning how to apply eye shadows, I realized how important and how big of a difference a nice brush can make. I already have the Mac 217, but needed something small and flat to create tighter lines on the lower lids, so I picked up the Bobbi Brown Eye shadow Brush as I have a travel set and really liked the quality of their brushes. I also wanted to try out different brands since I’m still fairly new to this and want to figure out which brand I like the most, so I got the Hourglass Domed Shadow Brush – a small, densely packed brush perfect for buffing and blending the outer corners. And FYI, Hourglass brushes are PETA-friendly! Which is a super plus in my book. Now onto the staples. I’m running low on my pencil eyeliner, but I really don’t like the glitter in my current one and also hate the fact that it transfer onto my eyelid throughout the day, so I picked up the Urban Decay 24/7 Glide-On Eye Pencil in Demolition – a deep matte brown that is perfect for my everyday makeup. I’ve heard a lot of good things about this so hopefully it won’t disappoint. 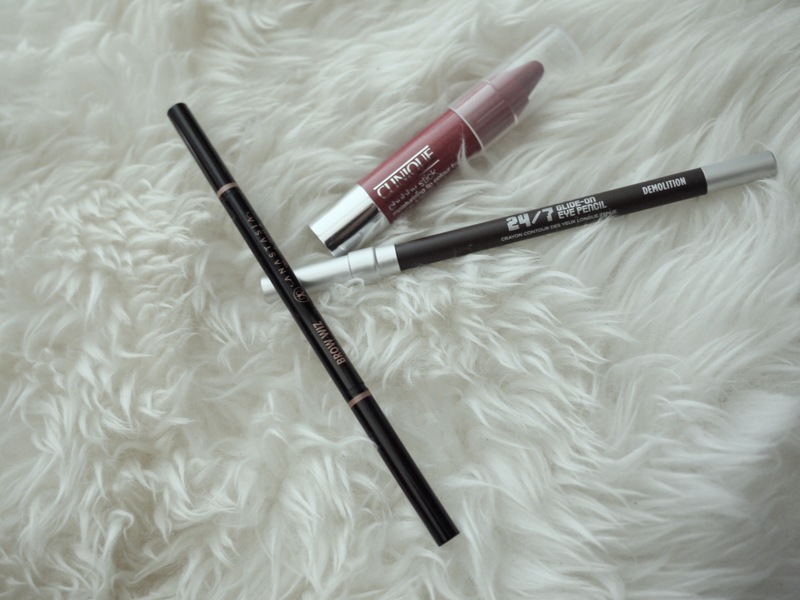 I also picked up the Anastasia Brow Wiz in Soft Brown, not that I’m running low on brow pencils as I have 2 in rotation right now, but they’re both kind of chubby at the tips which means I can only use them to fill in and can’t really create any texture to my brows. After seeing a lot of the reviews on the Brow Wiz and how you can literally draw in individual eyebrow hair with it, I was intrigued. It is a lot thinner than I’m used to, which is a good sign but also scary because I’m not used to it, I will have to do a few test run with it and decide how I feel about it. Last but not least, the Tarte Limited-Edition Rainforest After Dark Colored Clay Eye & Cheek Palette – a palette that has a gorgeous packaging, with neutral and sultry orchid hue eye shadows and everything you need for your cheeks (bronzer/highlighter/blush) inside. This one is definitely more of a splurge as I don’t really NEED another eye shadow palette, but there’s also a cheek palette inside which I kind of need so that’s how I justified the purchase… And honestly at first this palette caught my eyes because of the packing (more on that later), but when I saw what’s inside, I knew I had to have it. 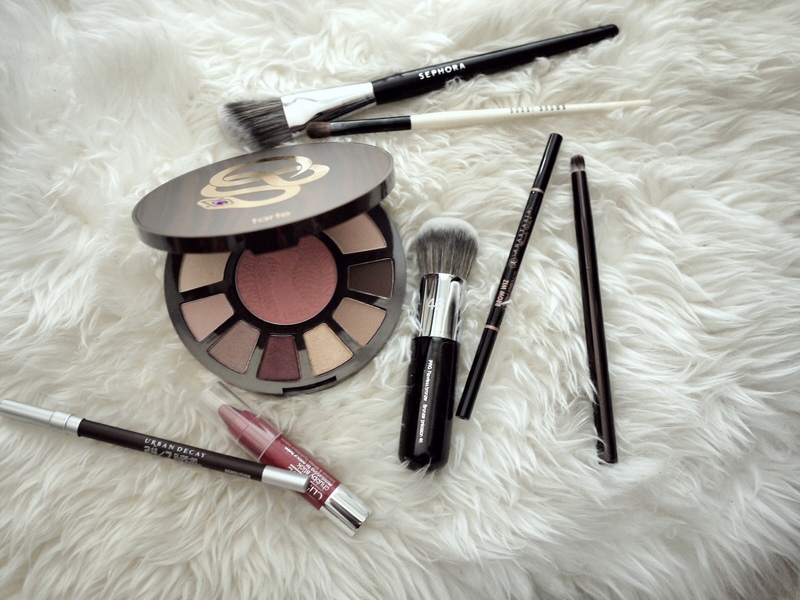 The colors are simply beautiful, and the fact that it has everything for both eyes and cheeks makes it the perfect traveling palette to bring with you. This palette however, is a limited edition item and is now sold out on Sephora, the last time I check Macy’s still has them in stock, so if you want it better act quick! What do you think of the items I picked up?